Pimples and puberty preceded cuddling and canoodling which led to wisdom and weddings. Silliness and socializing gave way to cutting class and consequences which transitioned to acceptance and achievement. In short, each picture represented a path, a journey, towards whatever moment was captured. There was movement and change behind every story; good, bad, or super smelly. For every moment of maternal pride, there were transitions and turmoil that were integral parts of the process. It is easy as parents, teachers, or semi-functional adults to forget the nitty gritty details and the incredible angst created by the movement between each developmental stage, seasonal change, social steps, and environmental shift that we experienced in our youth. But childhood and adolescence isn’t just sprinkled with transitions, it is created by them. When we think of transitions we often think of the big life changing variety; the kind that alter the trajectory of a person’s life course. But transitions permeate every aspect of our lives together in minute ways that we overlook and minimize on a regular basis. We, and our kids, experience hundreds of transitions every week. Some of these transitions become integrated into our daily routine to the point that we don’t even recognize them as a transition. Transitioning from work or school back into the home environment is a perfect example. Most of us have struggled at some point with “leaving work at work.” Some transitions are big, obvious, and exciting; such as getting out of school for the year or sending those little guerillas back in the fall. Some are uncomfortable and easy to avoid. Nobody really enjoys talking to teenagers about body odor, bodily functions, and babies (hopefully in that order). Transitions come big and small. They can be life changing or monotonous. They can be inevitable or avoidable. But, transitions all have universal stages that when understood can provide a roadmap to all of us parents out here trying to support the chaos that all this moving and shaking creates. When transitions are small and routine, we often move through most of these stages without acknowledging their existence. When transitions are big and scary, we often obsess over each stage, sometimes to the point of avoiding the change altogether. The human brain and body enjoy sameness. We enjoy normalcy and uniformity. But we also are hardwired for hope and expectation. We are programmed to see the green lush grass on the other side of that fence. Each transition contains several phases or stages that are universal in nature. Normalizing and understanding these stages is an integral part of supporting your child through the thousands of transitions that life is throwing at them. The first step is becoming aware of the transition. Recognize a change in daily routine or a life change as a transition rather than just “part of the day.” This will allow you to separate that particular move or change from the rest of your child’s day and will allow you to view the emotions and reactions as uniquely connected to that specific event. Think of the liberation that may come when you connect the moody teenage girl responses at the end of each school day to the transition away from her boyfriend (or “boo” for those of you hip parents out there). The snarky attitude and impressive eye rolls may be associated with that particular change and not necessarily indicative of their general feelings about life and you in general. Ok, I admit that may not have been the best example but you get the point. This move towards identification and specification can be especially helpful when a transition is eliciting a negative response as it allows adults to isolate and intervene surgically and thoughtfully. The next stage is preparation. This stage is much easier to understand when we accept the universal truth that most every human change is met with initial resistance, trepidation, or refusal. This can be illustrated by a teenager who doesn’t want to get out of bed in the afternoon or a 65 year old man who works a job he hates for 40 years because he is unsure what else is out there. We cannot prepare ourselves or our children for transition if they are still in a state of refusal. We can only prepare once we have moved into a state of acceptance. Sometimes this may mean dragging them kicking and screaming into the store to shop for school supplies, but sometimes it may involve sitting down and thoughtfully listening and attuning to the emotions and feelings connected to the transition. Fear, shame, anxiety, and poor self-image are often the drivers behind the resistance to change. Once acceptance is achieved, you can fully move into the preparation stage of a transition. This is the most practical stage and is often the easiest for parents to complete as it requires action. Holistic preparation should include discussion about potential outcomes; both positive and negative. Talk with your kids about what can go right and what can go wrong, as well as what choices may lead in either direction. Be open and direct in asking your children what they need for a transition. This can vary from new shoes for the school year to check-ins with you every day after school. Also, think about ways in which you may need to advocate for your kid; or areas in which you may need to back off now that they are getting older and moving on to new developmental tasks and challenges. The more you think about the specifics of each identified transition. The more you will be able to prepare. And then, the unexpected will hit the fan and blow your plan out of the water. Remain calm and offer support and nurture rooted in hope and acceptance (you can always freak out later). One of the most important ways that you can support a child through any transition is to be flexible and supportive no matter what. This new school year will not go as you plan. And puberty sure as heck won’t go as you plan (if you can even plan for that). Providing a safe and supportive place for your children and your partner during these times of unrest is just as vital in thriving during transition as the first two steps. Then, start the stages all over again. There are certain times during transitions that require intervention or assessment from professional eyes outside of the home. While these instances are the exception rather than the rule, recognizing when it is time to involve professionals during a particularly difficult transition phase can be crucial. Developmental changes and physical growth can trigger medical issues. Social pressures and anxiety can spark symptoms that may require assistance from a mental health professional. If you feel like you may be in over your head, reach out to your doctor or trusted school staff member for resources and assistance. When we hold those little squirmy bundles we call our children for the first time, we don’t envision freak outs over being placed with the tough chemistry teacher. We don’t imagine meltdowns due to a perfect storm of hormones and social drama. We surely don’t visualize having the birds and the bees talk with tweenagers. No, we picture creeping down the stairs in our later years with a mischievous look in our eye and armed to the teeth with dog-eared photographs and heart-warming stories. But, we can’t make it to those framable moments without hanging in there through the thick and the thin of the series of transitions that we call life. 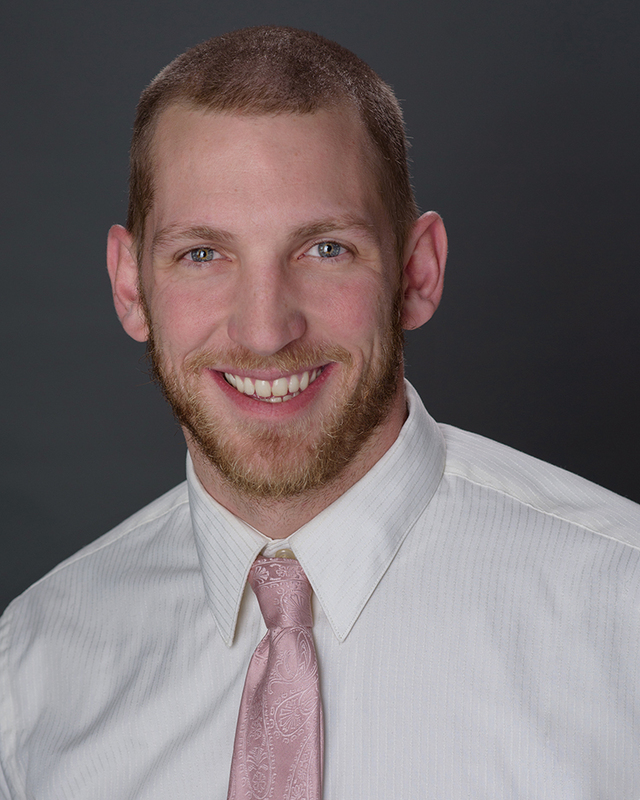 Daniel Champer is a Licensed Clinical Professional Counselor who currently serves as the Director of School Based Services for Intermountain in Helena. Daniel provides leadership and clinical oversight to teams of mental health professionals who provide therapeutic services in public school settings in the Helena area.